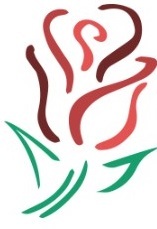 Filling up the bustling streets of State Center, the 2019 Rose Festival Car Show has become a mainstay at Rose Festival. This year’s show takes place on Saturday, June 15th from 11:30 am until 2:00 pm. Each year, we continue to see rapid growth in the number of exhibitors making the drive on Saturday to showcase their classics. We would love for you to be a part of our festival’s great show! We’re expanding! More than 6 blocks on and around Main Street will be available for showcasing your pride and joy. 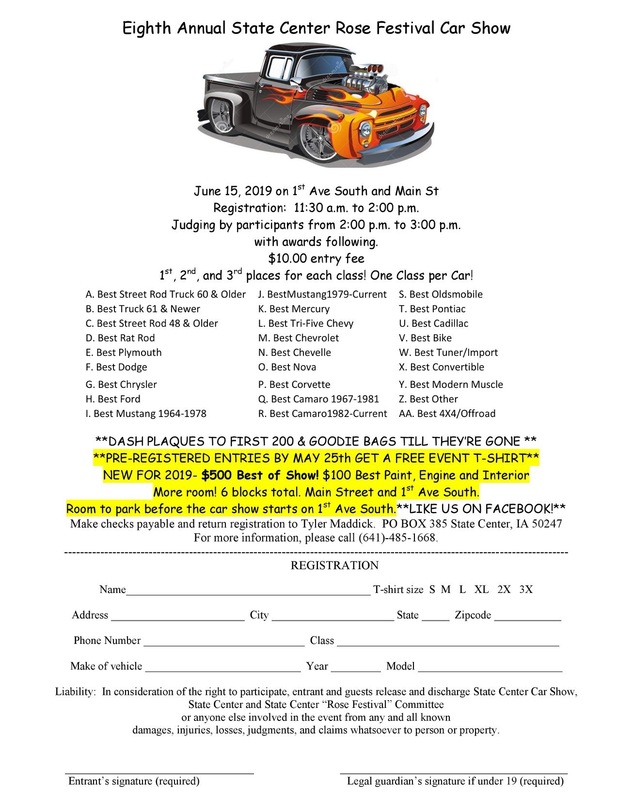 REGISTER TODAY by downloading the 2019 Car Show Registration Form. Please return your registration form and $10 registration fee to Tyler Maddick at: PO BOX 385 State Center, IA 50247. Checks should be made payable to Tyler Maddick. Contact Tyler Maddick at 641-485-1668 with questions or for more details! I just received and posted the registration form for 2018. In looking at it I do not see a Buick class but there is an ‘other’ class. If you have any questions specifically about the show, please reach out to Tyler Maddick at 641-485-1668.